So on the 4th of July I did a segment on low calorie treats on The Daily Dish. You can watch the segment HERE! 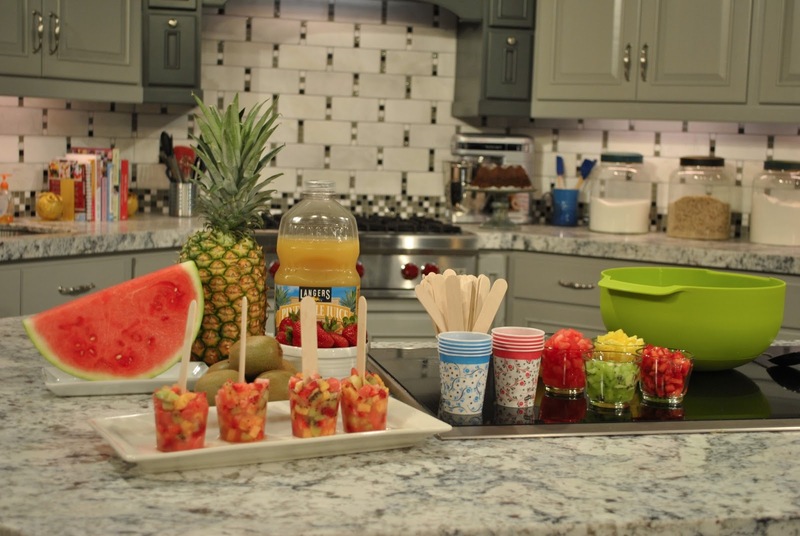 It was a lot of fun to do the segment and I seriously love these treats! Super easy to make,and fun! The best part is they are healthy and you don't have to feel guilty about eating/drinking them! 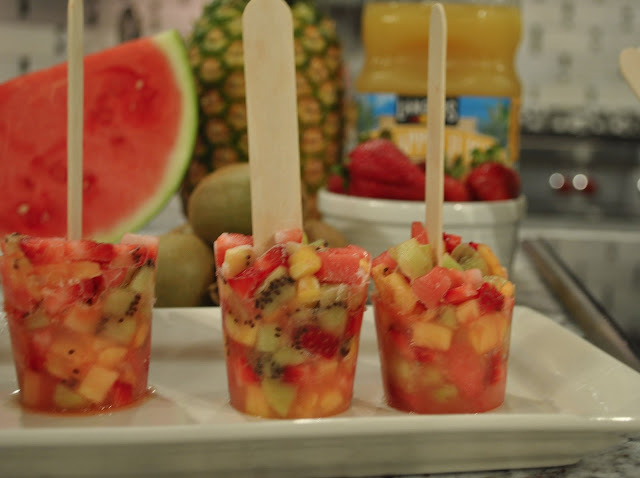 *Combine diced fruit in a bowl and fill each 5 oz cup with fruit. Add 1 tbsp of juice and insert craft stick into each cup. 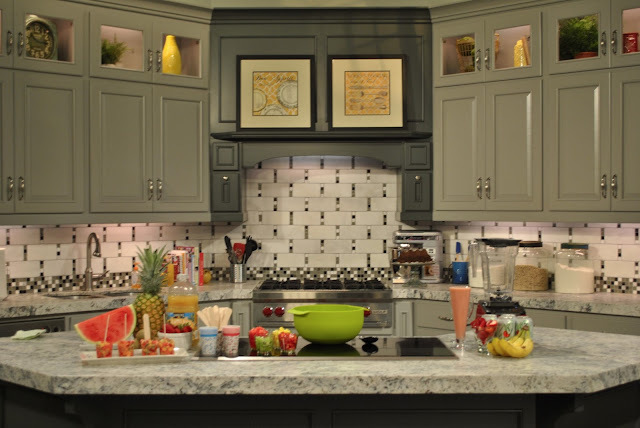 They easily stay in place because of all the fruit. Place in the freezer a few hours until firm. To remove the pops, run under warm water a few seconds and then enjoy! 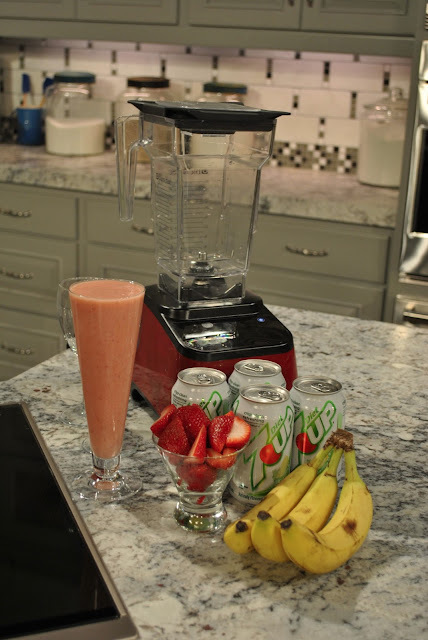 *Put everything into the blender. Mix it up, blend it on whatever settings you like until smooth. Then enjoy! Okay, you are so cute! 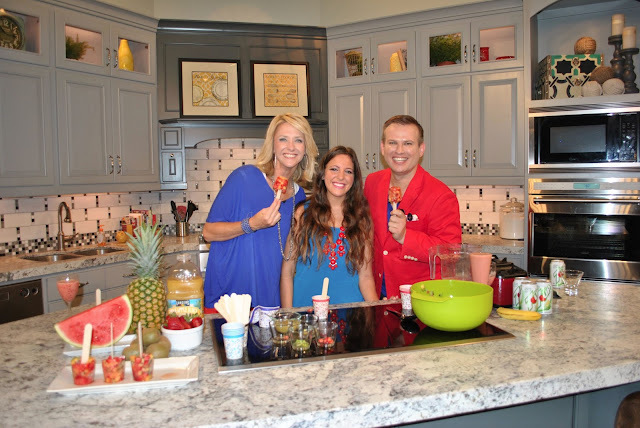 I loved your segment and I am definitely going to have to try the smoothie and fruit pops!